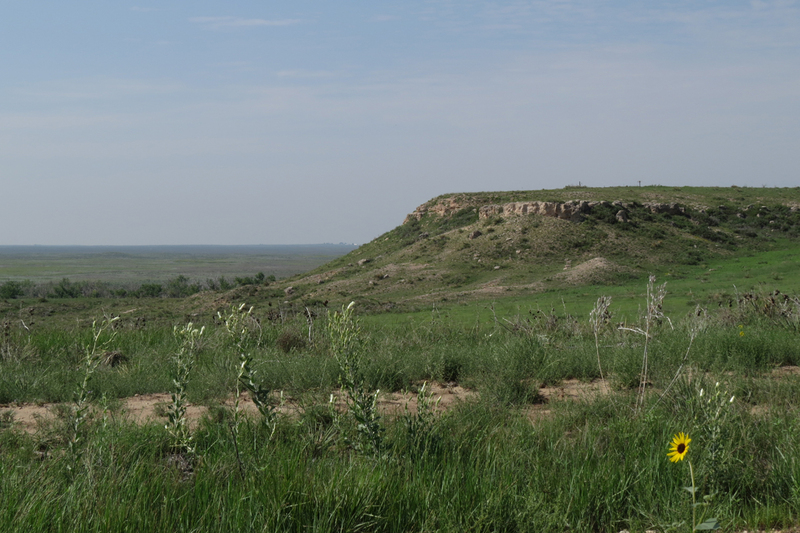 I spent the day on the Cimarron National Grassland in southwestern Kansas. 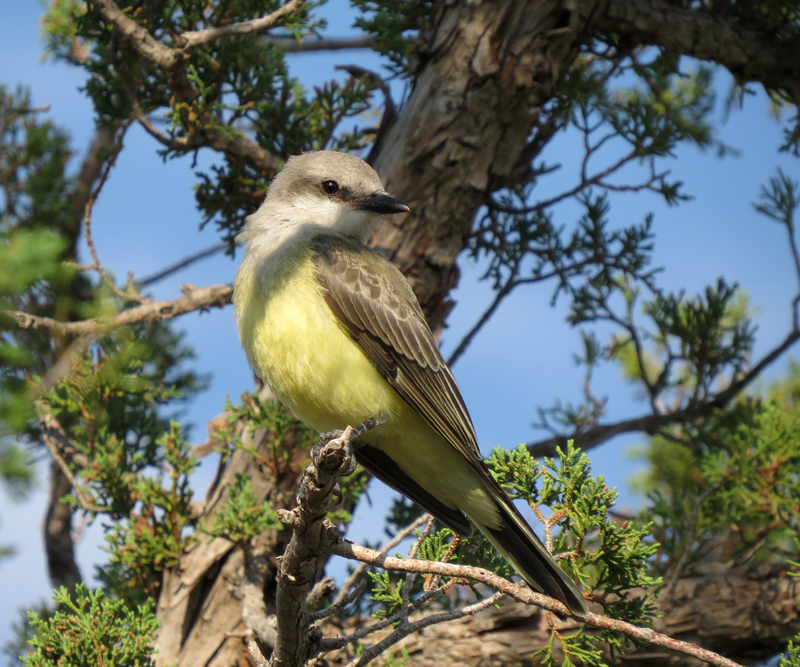 It is a frequent destination for Kansas birders lured by the possibility of southwestern species that only make it into Kansas here. The area has seen a lot of changes in recent years. A large fire swept through the area a few years ago, killing many of the cottonwoods in the riparian corridor. The last two years have seen severe drought, followed by four inches of rain in the past several weeks. I have been visiting this area since 1984, and this is the first time I have ever seen water flowing in the Cimarron River. 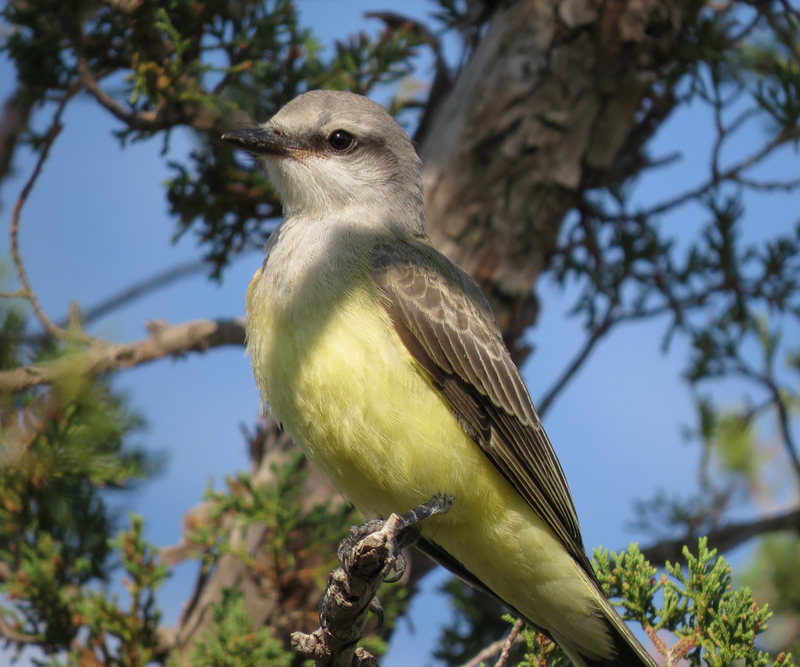 Even during the slow birding season of late August, you can count on finding Western Kingbirds in trees and on power lines. This is Point of Rocks, one of the few actual landmarks in this area. 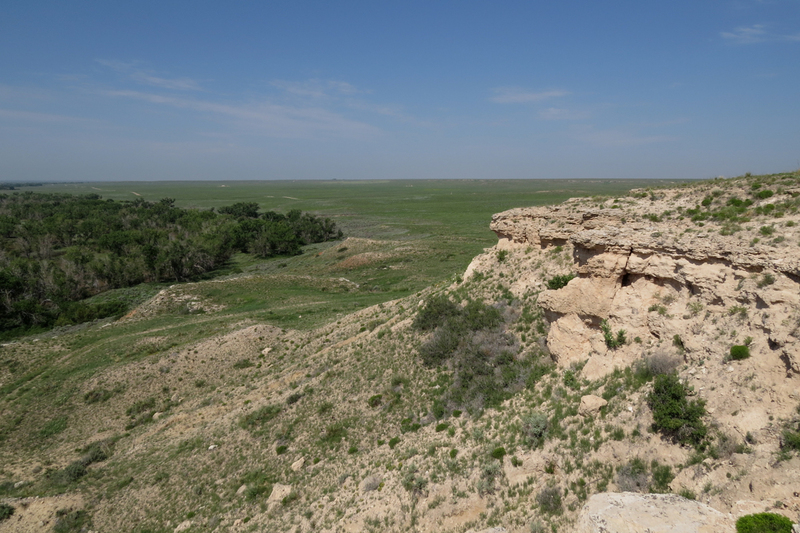 This is the view from the top of Point of Rocks, with the Cimarron River corridor on the left. 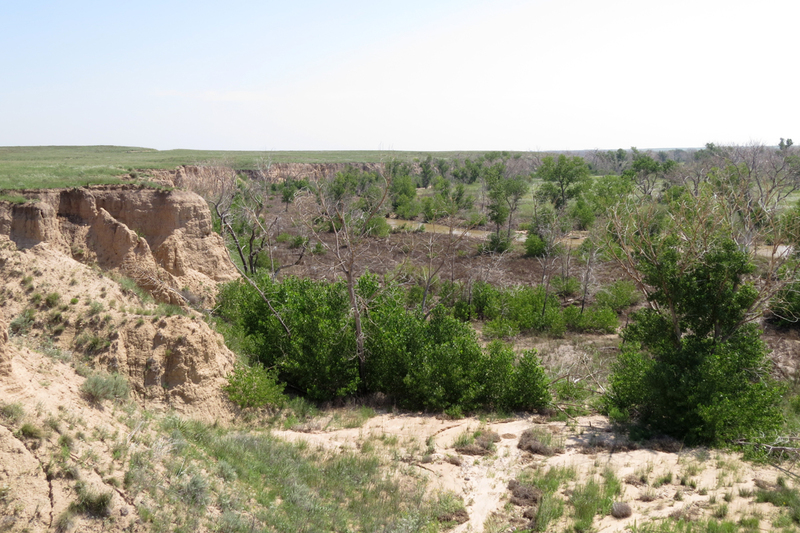 They say you can see wagon wheel ruts from the Sante Fe Trail from here, but I’m not sure which tracks were made by wagons and which were made by pickup trucks. Birding is usually slow here, but sometimes the brushy slopes attract interesting migrants, and raptors often fly by at eye level. 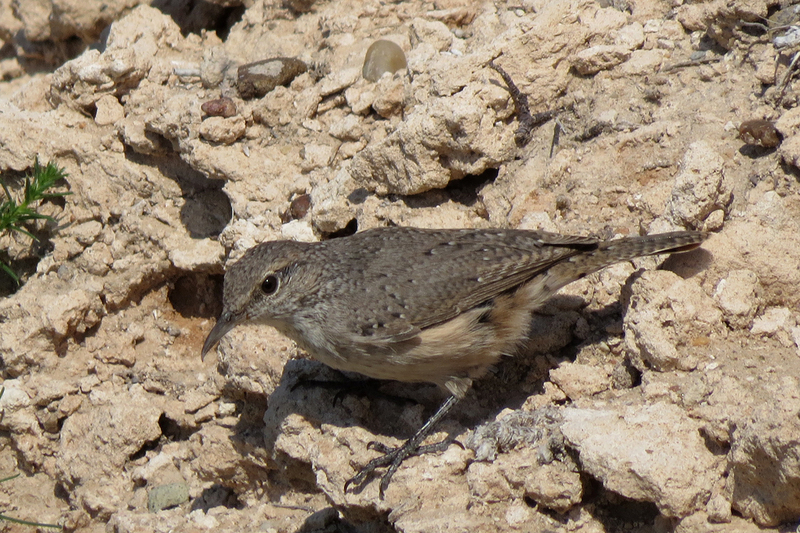 No matter how slow the birding, you can always find a Rock Wren or two at Point of Rocks. 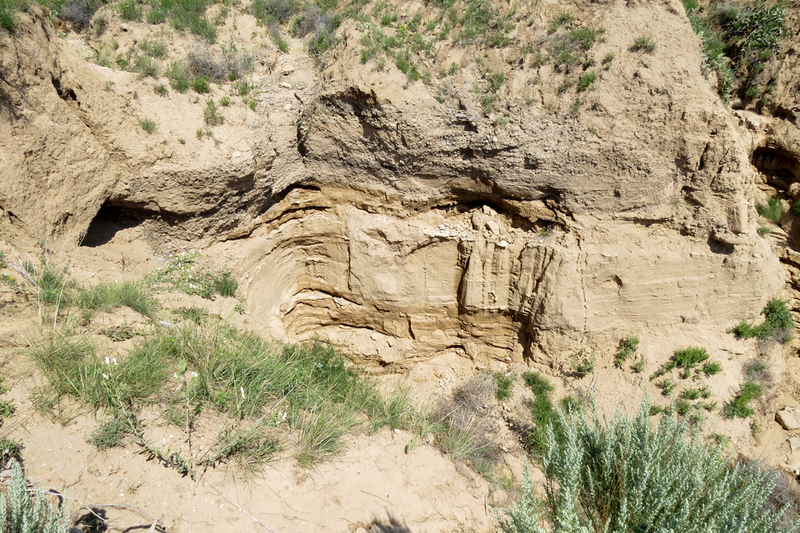 While it may look like rock, this bluff above the Cimarron River is made of sand. Despite the dry climate, there are a few ponds on the grasslands. 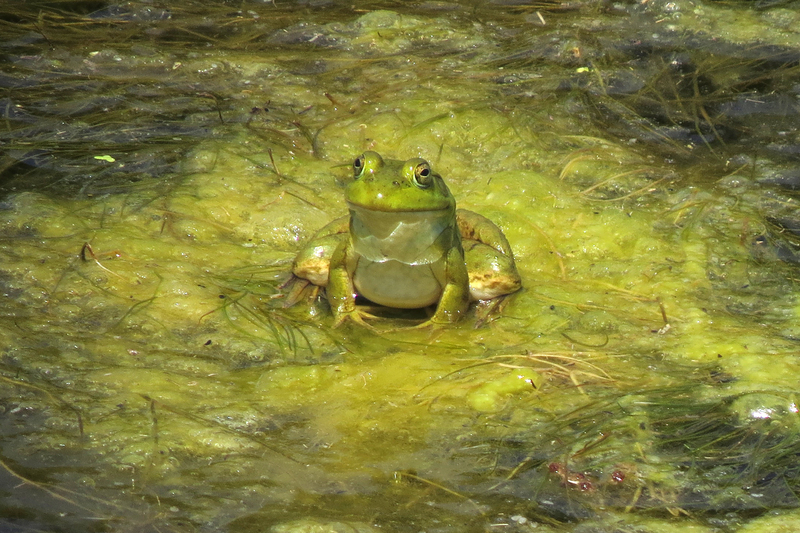 This American Bullfrog looked especially alert. 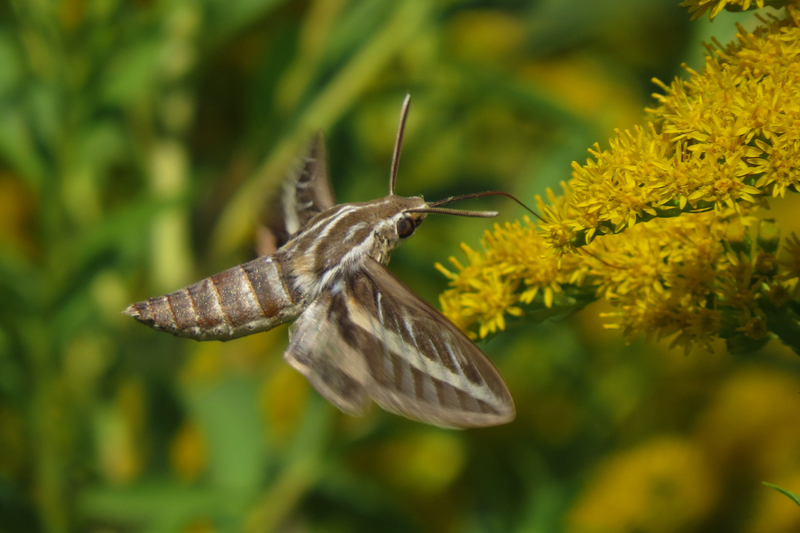 This White-lined Sphinx put on quite a show. 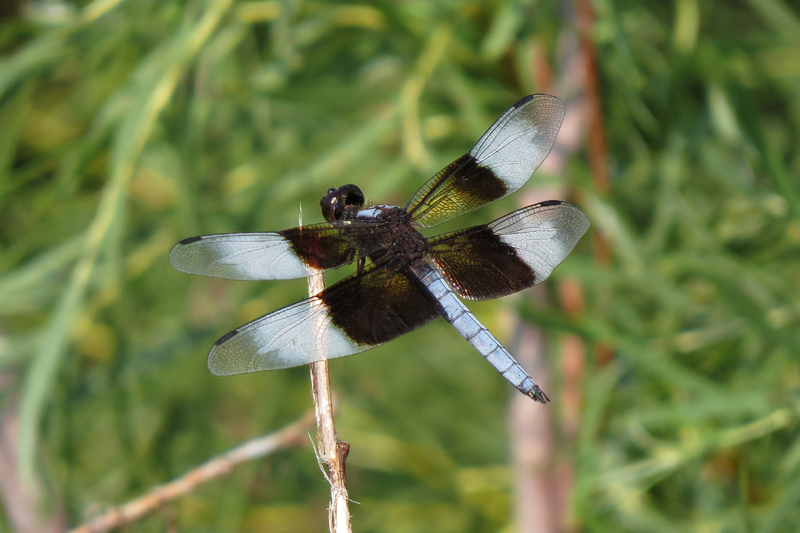 This entry was posted in beyond OR, reptiles & amphibians and tagged American Bullfrog, Cimarron National Grassland, Rock Wren, Western Kingbird, White-lined Sphinx, Widow Skimmer. Bookmark the permalink. Wow, that sphinx is awesome! 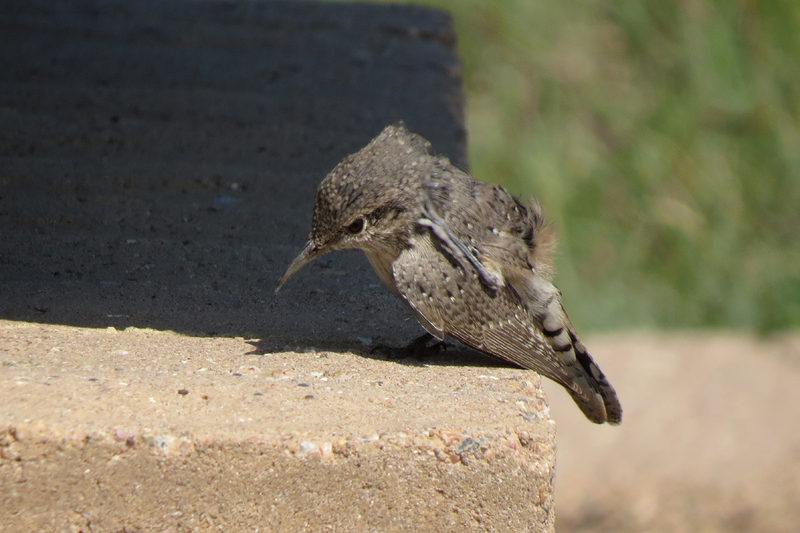 And the Rock Wren scratching is pretty adorable. Great photos! 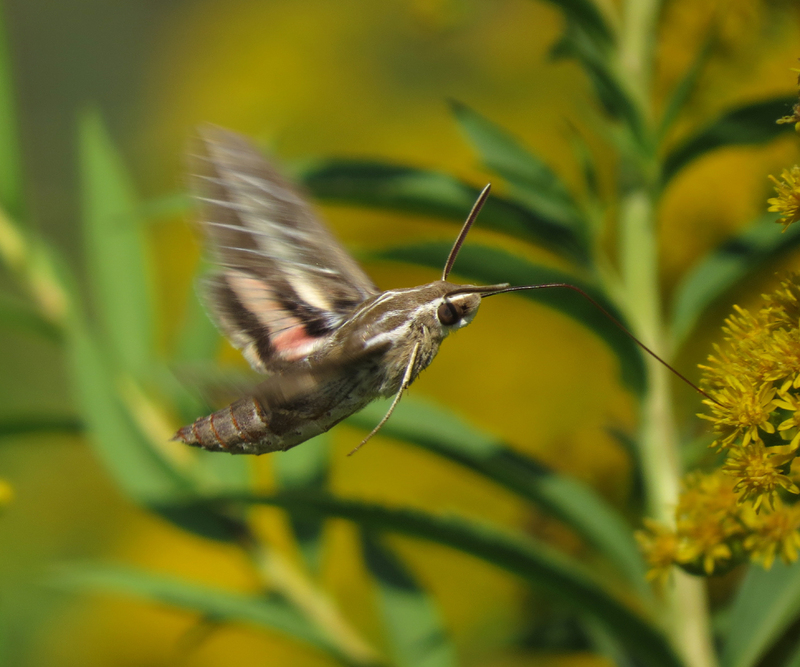 The kingbird shots are nice and I love the sphinx moth. We just don’t see those enough!